A lightweight primer designed to prolong the wear of your foundation whilst adding a natural glow to the skin. Satin Primer contains moisturising Vitamin E, creating a smooth even base with a subtle silky finish. Apply before your foundation or wear alone for a natural, dewy effect. Prior to foundation application, dispense a pea sized amount of Satin Primer onto the palm of your hand. Using the Foundation or Highlighter Brush apply evenly all over the face. Mix Satin Primer with your favourite Illamasqua foundation to achieve a dewy finish and a lighter coverage. I absolutely love this satin primer it gives an instant boost to skin can be used on all skin types for a beautiful radiant glow can be used alone or under foundation,I mix a pea sized drop with my foundation highly recommend this product. 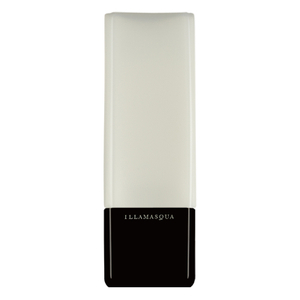 I'm a huge fan of Illamasqua products and this primer was very good. It was lovely to apply and made my skin look very dewy. I will not repurchase as I prefer a mattifying primer and this does not tick the boxes for me, but for anyone wanting a primer which works and makes their skin look dewy / glowing, this is perfect! Hydraveil is my go to but I was keen to try this and see how it sits. It's very runny to apply but gives a great radiant finish I just can't justify 5 stars on something that's not hydraveil! Great product! Always use this! Great product, great feeling on the skin!